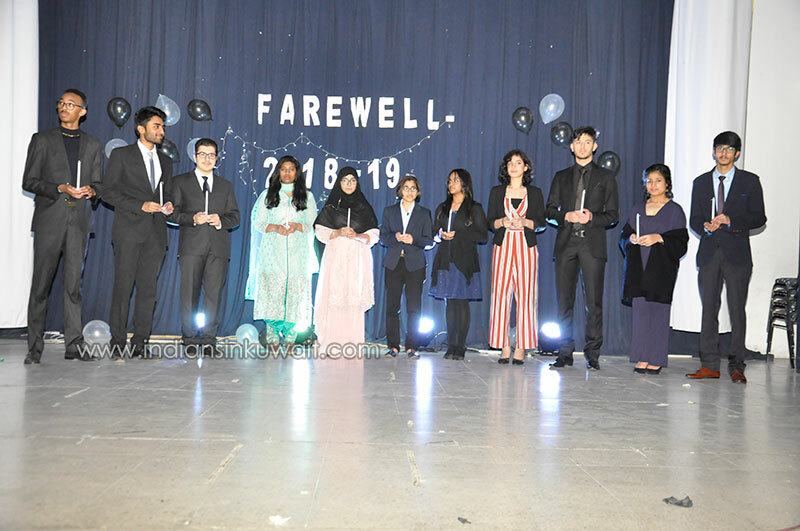 At SIMS the outgoing students of class XII were bid Farewell on 22 January 2019. The day was a fiesta devoted to the years together with friends and teachers.The SIMS auditorium was festooned with colourful balloons and pretty decorations. The ceremony started with Deputy Head Boy Yunus Nasser presenting the welcome speech. He cordially welcomed the Chief Guest Mr. Khaled Alanzi( Director of Kuwait environment authority), Director Mr. Anis Ahmad, Principal Ms. Anita Sadanand, the outgoing batch of grade XII , their parents, the teachers and the other guests. Then the National anthems of both the countries were played followed by Quran recitation by Yahya Ibrahim of Grade XI. The auditorium was set ablaze when the outgoing students of class XII were escorted to the stage for the candle lighting ceremony. The students standing on the stage in their elegant formal dress with candles in their hands represented their bright future and the light of knowledge acquired all these years. The students were presented with mementos as a token of love for the school where they spent so many years. 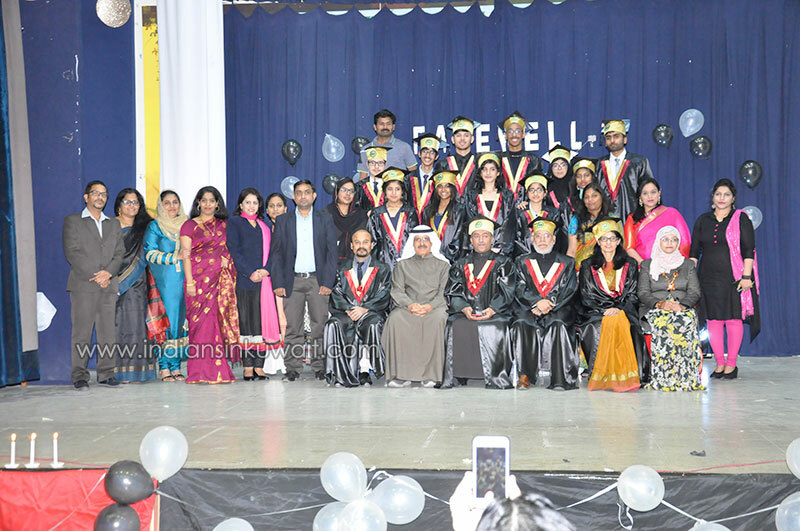 This followed with a group photo session of the outgoing students with their teachers and juniors. The auditorium once again absorbed the rocking ambience when the grade XI students performed a scintillating and foot tapping dance number followed by a song with pulsating music. The students also played interesting games. The best part of the event was the song played by the grade XI students with the pictures and memories of the departing students playing at the back. It was a moment of pride and happiness for both the students and teachers of SIMS. The teachers and the students gave short affectionate speeches for each other. The event came to an end with Deputy Head Girl Manrav Kaur presenting the Vote Of Thanks. She thanked the guests for being the part of the event. The guests were then served with sumptuous feast. Despite cold weather the event was full of warmth and goodwill.